Women in northern Ecuador provided a significant amount of the labor in the production of crafts and crops, but they were often overlooked with regard to education, access to credit and to markets beyond the local community. Entrenched prejudices made it difficult for women to be taken seriously, especially when applying to financial institutions for business loans. Corporación de Estudios de Desarrollo Integral del Norte (CEDIN), an organization composed of farmers and other women, sought to address this discrimination with its 2001 proposal to the IAF. Through the Cooperativa de Ahorro y Crédito-Mujeres Unidas (Cooperativa-CACMU), a credit program launched by CEDIN a year earlier, some 1,000 women farmers and artisans living in poor neighborhoods of Ibarra and Otavalo would receive loans and the training and technical assistance they needed to improve production and marketing. In 2002, the IAF awarded Fundación Cooperación y Acción Comunitaria (CACMU), a legal entity created by CEDIN, $296,700 to be disbursed over three years. Subsequently, the IAF authorized an additional $87,930 to CACMU toward the purchase of industrial textiles and agricultural equipment and to conduct marketing related activities. CACMU’s original commitment of $88,900 to cover part of the costs grew to $156,140 by the end of the project. CACMU also mobilized $219,594 from others. 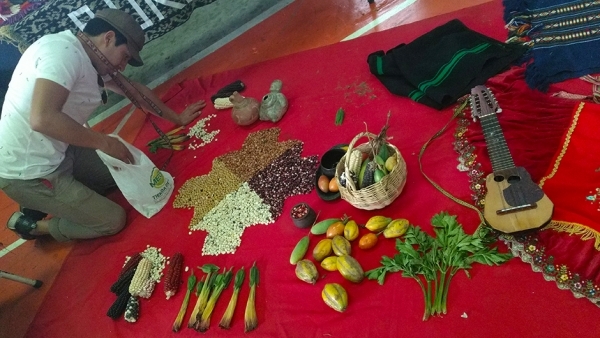 Among Fundación CACMU’s partners were Universidad Técnica del Norte, based in Ibarra, which agreed to provide training and technical assistance; the municipality of Ibarra, which promised to provide the site for a multipurpose center to house CACMU’s administrative office, and the municipality of Otavalo, which agreed to provide a space at the weekly fair that is one of Ecuador’s best-known tourist attractions. Project results were collected and analyzed using the Grassroots Development Framework (GDF). The GDF measures results on three levels: the individual or family level; the organization or grantee level, and the level of the community or society. At the lower level of the GDF cone, the project positively impacted the lives of more than 1,700 families as measured by tangible indicators such as housing, training, jobs and income; and the intangible indicator of self-esteem. At the mid-level of the cone, the credit indicator documented 866 loans, of which approximately 42 percent were for housing and 40 percent for business establishments. CACMU successfully mobilized approximately $120,000 from the Food for Peace Program, also known as PL-480, for its credit fund. At the upper of society level, CACMU has stimulated public discussion on the preservation of endangered species and the development of an ecotourism policy for northern Ecuador. Operated by the Cooperativa, CACMU’s loan fund grew from $33,500 in 2002 to $300,235 by 2005, a nine-fold increase. 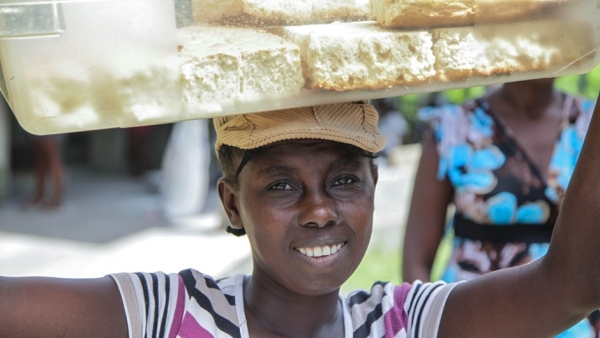 In this three-year span, the Cooperativa extended 866 loans; most to women entrepreneurs. By December 2010, the loans extended totaled 1,969 with a value of $4 million. Loans to women accounted for 73 percent of the total. Between 2002 and 2005, the average borrower received five loans compared to two in the period between 2006 and 2010; while the average loan increased from $531 to $1,355, reflecting the credit worthiness of the borrowers. The default rate during both periods was less than two percent. Saving and loan membership increased from 580 in 2002 to 7,938 in 2011. The percentage of loans for housing increased from 21 percent in 2005 to 29 percent in 2010. In Vista al Lago in Ibarra, 105 housing units are under construction on lots measuring 300 square meters purchased with loans funded by the IAF. As a result of 675 business loans, more than 1,400 jobs were preserved or improved. Of the loans extended at the end of 2010, 31 percent were used to improve businesses related to agriculture or ecotourism; 10 percent were extended to retailers and two percent to artisans. Other loans were used for housing, education, health and consumer goods. Eighty eight percent of project participants interviewed received training in several areas: livestock production, business administration, construction, weaving, tourism and handicraft production. From an incipient credit organization, the Cooperativa has grown into one of the strongest microfinance institutions in northern Ecuador. It has its own building in Ibarra and a branch in Otavalo. As of 2011, the Cooperativa’s assets totaled $4.17 million, and its liabilities totaled $3.54 million. Eight small cajas de ahorros y crédito (savings and loan associations) are receiving training in microcredit administration and related technical assistance from CACMU. Two cajas benefited from the installation of, and training in, a computerized system to keep track of customer accounts. Cooperativa-CACMU purchased the financial software CONEXUS MILLENIUM with IAF funds and used it for 10 years before migrating to a new platform. Before CACMU received its IAF grant, most women farmers and artisans in Ibarra and Otavalo had no access to credit and could not start, expand or improve businesses or build homes. The $90,000 loan fund provided by the IAF was instrumental in the early stages of the Cooperativa’s development. The success of the loan fund attracted other donors, including the Inter-American Development Bank, the United States Agency for International Development and the Dutch nongovernmental organization Humanist Institute for Development Cooperation (HIVOS). The capital from other sources helped the Cooperativa expand its geographical reach from two districts or cantones (Ibarra and Otavalo) in 2002 to 13 in 2011. The Cooperativa currently serves more than 7,000 members compared to some 500 in 2002. Cooperativa-CACMU offers the following products: consumer, housing and business loans; saving accounts; collection of social security contributions; cash transfers; life, health and accident insurance; and under contract with the Ecuadorian government, delivery of government assistance to low-income people. Health care coverage for members includes dental care. A survey conducted in connection with this evaluation reveals that 85 percent of those interviewed were very satisfied with CACMU’s services. Applications for credit are processed promptly; interest is charged at lower rates than those used by other microfinancial institutions and chulqueros (loan sharks); and loans are linked to training and technical assistance. Some members have learned to inoculate poultry and improve pasturelands (increasing daily milk production from three to 14 liters per cow). Those in the ecotourism industry have learned English to better serve their foreign customers. The impact of the Cooperativa loan program can be illustrated by Alfonso and Martina Pupiales. This indigenous husband and wife team applied for a microloan from the Cooperativa to invest in expanding their home on the outskirts of Ibarra to lodge seven tourists. Six loans later, the last one for $3,000, the Pupiales have room for 12 tourists. A key to CACMU’s success has been anticipating needs of its members with new services and expanding coverage to surrounding provinces. As a result, its clientele has grown 13-fold from 2002 to 2011 and its area of operation, from one to four provinces: Carchi, Esmeraldas, Imbabura and Pichincha. CACMU’s mission includes fostering incipient savings and loan associations. One launched by Anita Catucuango, Caja de Ahorro y Crédito San Agustín de Cajas started with 11 members and just ten cents in capital. Thanks to CACMU, it now boasts 300 members and a loan portfolio of $120,000 with fixed assets of $30,000. As of 2011, CACMU had helped launch eight savings and loan associations and plans to create 12 more. CACMU has become a bankers’ bank, providing services to microfinancial institutions. CACMU also fosters goodwill among its clients, who see CACMU not only as a financial institution they can count on, but an organization that listens to them and cares about their community. When Ibarra needed a facility to care for exotic animals seized from poachers or abandoned, CACMU responded by negotiating with local authorities for a no-rent lease of four and a half hectares to establish a rescue center in Guayabillas, outside Ibarra. CACMU extended loans to build the center’s infrastructure. The Animal Rescue Center cares for these animals while providing educational opportunities for people interested in wildlife preservation. Student-interns from around the world learn there about giant Galapagos tortoises, monkeys, macaws and other exotic animals, contributing to the center’s upkeep and financial sustainability. CACMU has created small solidarity groups, organized groups into networks and forged alliances with other institutions. Linking people and institutions with similar goals and pooling their resources increases the social capital necessary for economic prosperity and sustainable development. CACMU has relations with Asociación de Desarrollo Integral del Norte, an offspring of CACMU, which operates a tour agency that channels business to CACMU’s members; Empresa de Productos Cárnicos del Norte (ECANOR), which buys poultry from and employs CACMU’s members; the Universidad Técnica del Norte, whose professors and students provide technical assistance to CACMU’s members; and dozens of grassroots groups that value the social relations developed by CACMU and the economic benefits that such relations bring. CACMU offers financial services in marginalized communities very efficiently and at competitive rates while providing other much needed social services that foster goodwill. Also, CACMU’s ability to mobilize resources from foreign donors helped build its facilities and expand its services to clients. CACMU has been successful in cultivating the trust and loyalty of its members by being supportive of their needs; offering a wide array of services to solve their problems and contributing to their success. The trust gained by CACMU is an essential element in the construction of social capital. CACMU’s accomplish-ments can be credited to its business acumen and its ability to maintain good relationships with the communities it serves. Credit, technical assistance and access to markets provided women opportunities that translated into more jobs and improved income. CACMU’s efficiency and guidance helps its clients to develop micro-enterprises and find markets, and were factors in earning the loyalty that is key to CACMU’s sustainability. Cooperation with its partners and members contributed to CACMU’s success and all of its stakeholders, because it allows them to build collective action: an indicator of social capital – a valuable mechanism in economic growth.